Going to Thailand is something that needs careful preparation; it could be that you are going to live in Thailand, travel in Thailand or even teaching in the land of smiles. There are things you must do, and from my own experience's I've put together a few of them. Decide if you will stay in a hotel or apartment. Whatever you do prepare this before you arrive, look on booking.com and other websites. The one thing I always regretted was not preparing my hotel. I arrived at Bangkok airport, no hotel, and with no idea of where to go. I was trying to live on the fly. I arrived about 1am in the morning and didn't know what to do. So I jumped in a taxi and went to Kho San road, the tourist hub. There I knew that I could get a hotel, the taxi driver offered to arrange it and I reluctantly agreed. The next day I found out I paid double for the cost of the hotel. Did I learn from this experience? Yes, I always book for my arrival dates, and then decide afterwards what hotel to go to. Of course, if you are not a single traveler you will have all of the stuff pre-planned before going to Thailand. £450 one way but check out all websites. My reason for booking a one way ticket is that I don't want to come back! But it also saves me money to start with. After travelling place's like Bali, Vietnam, China, Hong-Kong, Singapore etc, I know that booking a flight way in advance is the best option. You can save so much money this way. Luckily I have never been caught ought with high price's by booking last minute; this is partly down to me being a single traveler. The last flight I caught was a single from London to Hong Kong, with only one change. This cost about £400 and I thought it was quite cheap. Try not to book flights through Edreams or other websites in this category. Once I booked a ticket with them, believing the ticket was a cheaper rate, so I booked it. An email came through saying the price was higher than I actually paid - I went crazy and got my money back, you can read about this here 'How To Get Your Money Back Off Edreams'. 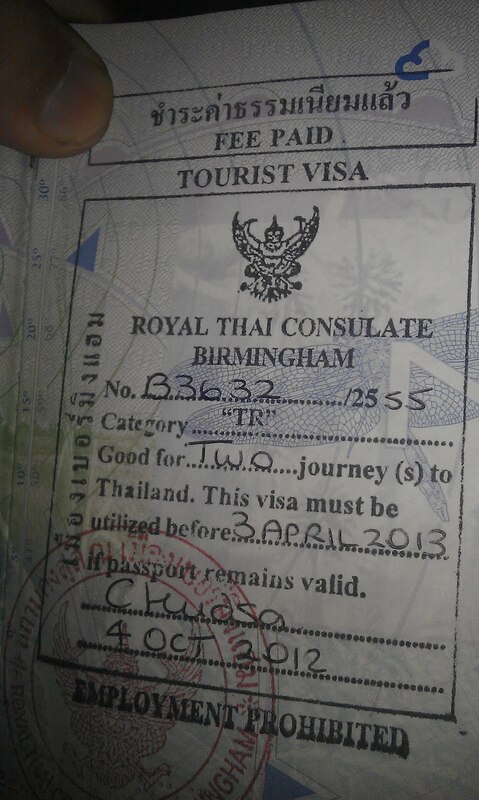 Thailand £20 - £25 depending on which visa you require. The one I've chosen is the 30 day tourist exemption, as I don't start my job for a while I can't apply for a work permit. Choosing the tourist exemption visa is a good option as you can get this as you arrive into Thailand. The other option, well you have to send you're passport off! These visa prices were correct in 2012. They have probably gone up a little. Make sure you have your vaccinations before you go. If you catch Malaria Malaria, make sure your ready for it, tablets or otherwise. You wouldn't want to end up like in hospital. In the countryside where I was working my work colleague, another English Teacher from Africa, was taken ill. She was put in hospital on a drip for many days. Now, i'm still unsure if they diagnosed her correctly - but the conditions weren't so great. You can get some vaccinations for free off the NHS, but for medical conditions such as Yellow Fever, the charge can be around £50. Also stay protected and buy some Deet You can use this to protect you from mosquito bites. 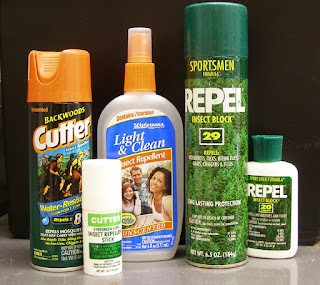 Dengue Fever is another high risk tropical disease, mainly caught from mosquitoes - you can read about how to protect yourself from dengue here. Surgeries usually require you to register and book an appointment a nurse to decide what vaccinations you need. I was quite lucky, i've managed to get mine sorted within 2 days due to nobody every leaving my town (Bedworth) so the health center has a lot in stock. 5. Research more information about Thailand, if you are going to take an English course, if you are going to go diving, if you are simply going to build castles - hunt for more information. Always make sure you have travel insurance prepared, and stay safe on the motorbikes. You will love Thailand, just stay safe and have fun. If there's anything you can add to this list please do comment below. Enjoy. Check out our travel blog directory.